Wonderful, successful, bright and shining stars in their worlds. I love them and respect how they have handled the break up of our family. My ex-husband and I both have good relationships with them and, as far as I am concerned, the past is firmly in the past. I have since remarried and relocated. He is involved with a significant other and moving on. Lots of feelings get stirred up as the holiday season approaches and sadness creeps right up on me. I guess the better question is: Why am I surprised that I am sad? We were married nearly 30 years and held the dream of happily ever after way beyond what makes sense now as I look back. There was no happily ever after for us. Loss of our family unit, shared glee at our grandbaby’s toothless grin, mutual celebration of our daughter’s law school achievements and our son’s professional life. This Thanksgiving, five years after the divorce, I am still a little blue. Picturing them with their dad and extended family aches. Every year it gets a little easier at holiday time, but it still aches. What can we do? 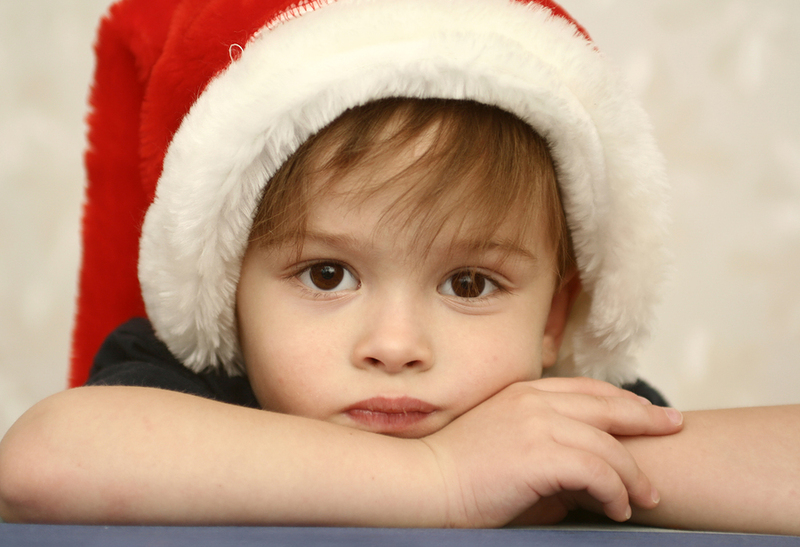 Here are five keys to coping with not being with your kids during the holidays. Do your kids a favor and pick at least one and commit to it. They need us to be grownup about it, it is the best holiday gift you can give them. 1. Redefine Happily Ever After: Who said there is no happily ever after? Of course there is! Each of us has walked past the family breakup into new and grand adventures. We have met new people, learned new things and made new memories. Repeat after me: I AM living happily ever after! 2. Rent A Sad Movie: Yes, you read right! It is a good thing to cry. I watched 28 Days this morning with Sandra Bullock. Funny and poignant family drama revolving around early childhood tragedy and the fall out. I found it easy to cry and some of my sadness melted away with the tears. 3. Write A Letter To Your Kids: No, you don’t need to send it! Just write from your heart and pour out your disappointment about not being able to be with them right now. Write how proud you are of them because you know how hard it is for them. Tell them that no matter what, both of you love them to pieces and you are doing your best to manage your own feelings. 4. Do The Gratitude Thing: You have heard it a million times….stay grateful. It is hardest when your emotions are all over the place, but you CAN do it. Thank goodness you are no longer married. Thank the Divine for your new relationships. Thank heaven for those wonderful children…a product of the two of you. 5. Clean a closet: What you say? Yes! There is no better time to do a little purging. Make some room for the new by getting rid of the old. Throw away, give away or have a garage sale. Plug in your Ipod with a good audio book or some old time rock and roll and get busy! Pass the time with mindless productivity, you will feel great when you are done. While you kids may never be able to express themselves to you in this way, they will be deeply impacted by your taking care of your own emotions during this time. They are hyper-sensitive to your feelings and will have a much happier holiday when they see you using healthy ideas to make a better time for yourself when you have to be apart! How about you? What tricks have you used to deal with broken family holiday blues?